Today I'm sharing a post that hasn't appeared on my blog since 2014. That's right, it's been about four years since I've published a Target beauty box. I can't even believe it's been that long myself but look no further because I'm super excited to share my most recent one. 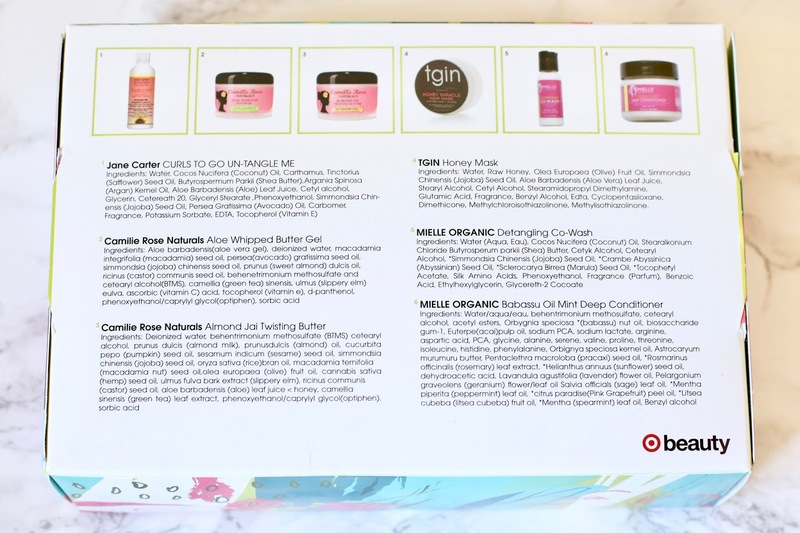 Lately, Target has released five beauty boxes that all cater to a specific theme. For example, there is Wakeup and Makeup, Treat Yourself, Be YOU(tiful), All the Masks, and lastly Define & Shine. What's even better is that these boxes all have one great price of $7 each. 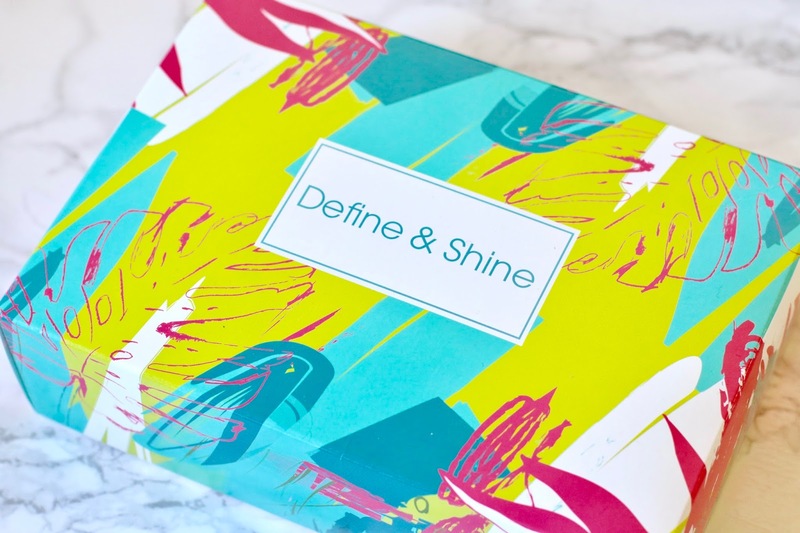 I decided to go along with the Define & Shine box because I was really interested in the hair products that were featured and what made it even better is that they were products that were absolutely PERFECT for my hair type which is a rarity. I've tried previous Jane Carter products before and I found them to be suiting for my hair. I'm always on the hunt for the perfect leave in conditioner that not only detangles my hair but leaves it soft, smooth, and most importantly moisturized. 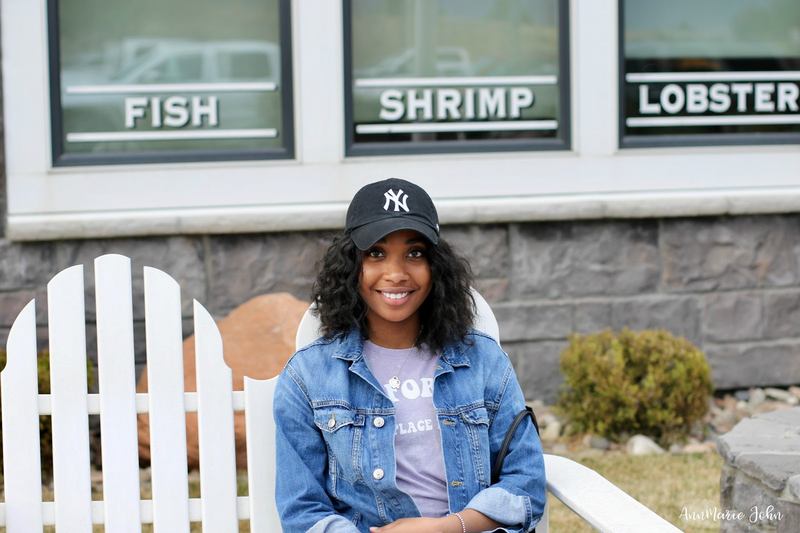 I'm always nervous about lightweight leave in conditioners because due to the dry climate here in Colorado, I tend to have to use many products to keep my hair moisturized for the day. Since this leave in conditioner does fall on the lighter side it's great as a base for other products but I don't think I can wear it alone. 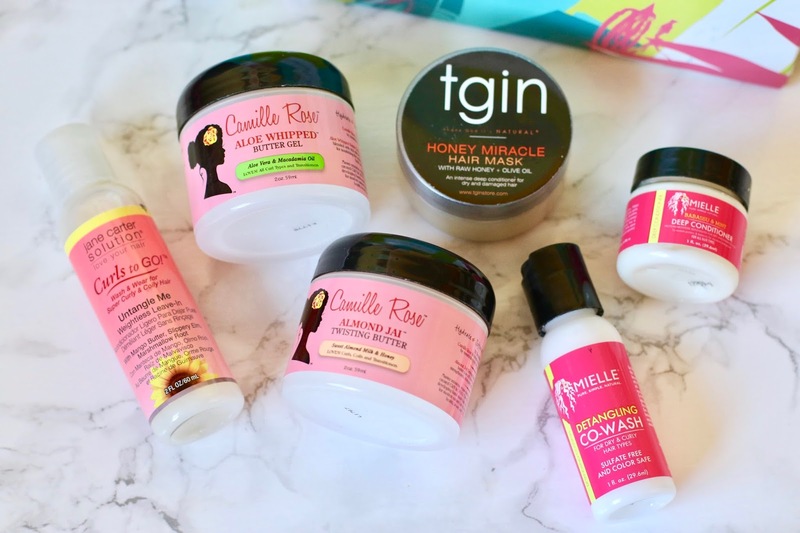 I love Camille Rose Naturals product. They all tend to smell delicious but carry a hefty price tag. This butter gel has a really nice texture that works perfectly for moisturizing my scalp and hair. Personally I wouldn't use this as a styling gel for my hair since the whipped texture isn't heavy enough to really hold much definition for my curls. Now this stuff is amazing. It literally smells like vanilla frosting and it makes me almost want to eat it. It's a much thicker texture since it's a butter based so I'm excited to use this for future fun twists out. I may even have to purchase the full size because this smell is addicting. I can't recall using any products that were honey based but I have overheard that honey is amazing for dry hair. This deep conditioner is enough for one use because I have really thick hair but I can't wait to give it a try. It has a light scent and not too heavy of a texture. I've heard great things about this brand and have been pretty intrigued by her products but haven't been able to give them a shot until now. I haven't co-washed my hair in years so I'm considering picking back up the routine. I realllllllllly wish her product sample sizes were 2oz like the previous products. I can't really do much with an ounce of co-wash but I'll still give it a shot. This deep conditioner is really creamy and carries a light minty scent. Once again I wish the size was bigger because there's almost no way I'd be able to evenly distribute an ounce of product throughout my hair. On the back of the box, the ingredients for each product is listed and inside you'll also find a card describing each products recommended use and two coupons, one $1.00 off any Jane Carter coupon that can be used on any Jane Carter hair care item and a $2.00 off Mielle Organic coupon that can be used on any Mielle Organic hair care item which both expires 12/31/18. Overall I loved this box, this is probably one of my favorite beauty boxes I've ever received because I felt like the products were 100% compatible for me. Let me know what you guys think or what box you decided to try if not all! Omg I love this beauty box! !